Garden Minerals vegetable plant food. Get more flavor and higher nutrition. Here’s a premium vegetable plant food that is natural and organic. It can be used both indoor and out. And, it can be used in pots and gardens. Most competing products use sulfates. Sulfates are heavy salts and can burn the plant. Peggy Green’s vegetable plant food uses special non burning minerals. So, there is never a worry about over fertilizing, and getting plant burn. And, because it’s non burning, this makes it perfect for small containers and potted plants. Garden Minerals vegetable plant food has a powerful concentration of essential elements. It’s a super mineral supplement. It’s like vitamins for your plants! Garden Minerals vegetable plant food stimulates nutrients and enzymes. It promotes good health. And, it grows everything better. You’ll get more flavor, taste and higher nutrition with Garden Minerals. 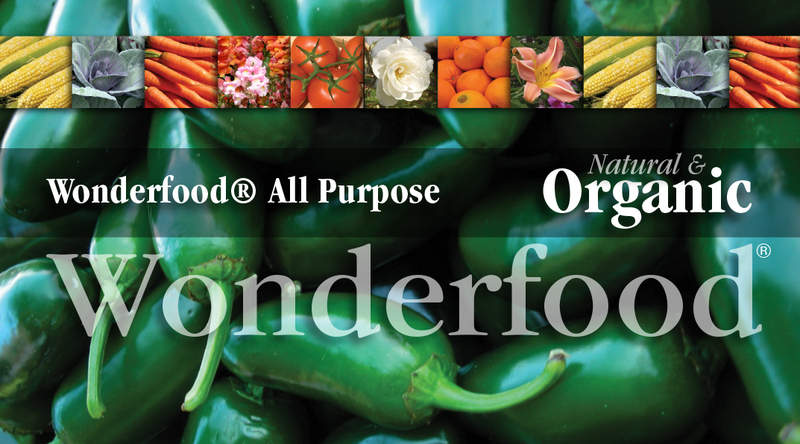 The Wonderfood® for plants! Use Garden Minerals on herbs, vegetables and tomatoes. Everything grows better with Garden Minerals. And, when you used as part of a regular maintenance program, you’ll get tastier, more nutritious herbs, vegetables and tomatoes. Perfect for all your container gardening and outdoor use. Put the minerals back in the soil with Garden Minerals. Plants need minerals. We need minerals. Minerals are the spark plugs of the soil. They jump start other nutrients and make them available to the plant. Cutting back on a vegetable plant food that doesn’t have these minerals, can end up having long term effects on the soil and your plant. At Peggy Green, we are all about plant health and soil health. You will find all of our natural and organic mineral formulations to be the finest available. We never use fillers, synthetic chemicals or pesticides. Our products are safe for children and pets. And, our premium vegetable plant food is no exception. Garden Minerals is a natural organic plant fertilizer. It is great for herbs, vegetables and tomatoes. This premium fertilizer puts the minerals back in the soil so that your plants get the nutrients they need. As a result, everything grows better. Everything grows healthier. Although you will find many organic plant fertilizer products on the market, Garden Minerals is unique. Most other products use sulfates. Sulfates are heavy salts. In truth, these can burn the plant. Peggy Green uses non burning minerals so that you never have to worry about plant burn again. Therefore, this makes Garden Minerals perfect for pots and containers. You can even use it in small containers. Use this organic plant fertilizer indoor or outdoor for great results. Using Garden Minerals is like giving vitamins to your plants. This organic plant fertilizer has a powerful but gentle concentration of minerals. And, since it is an organic plant fertilizer with minerals, it stimulates nutrients and enzymes. It conditions the the soil. As a result, plants are healthier. Vegetables and tomatoes grow bigger. And, they are tastier. It is like giving vitamins to your plants. Why minerals? They are the spark plugs of the soil. Hence, they jump start the other nutrients. This makes them available to the plant. As a result, plants grow healthier. Vegetables and Tomatoes are tastier. They have more nutrition. And, they super charge your garden. Therefore, avoid products without minerals. Thus, it could have long term effects on your soil and plant’s health. Peggy Green is all about plant health and soil health. Our organic plant food products are the finest available. We never use fillers, synthetic chemicals or pesticides. Our products are safe for children and pets. And, Garden Minerals is no exception. 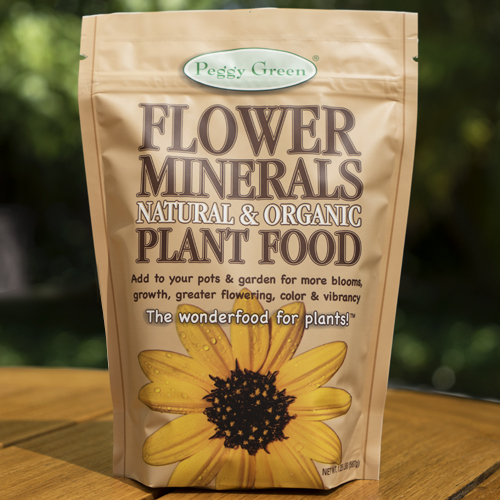 Peggy Green’s organic mineral fertilizers grow bigger, better, and healthier. They are the Wonderfood® for plants. They are like giving vitamins to everything you grow. Peggy Green’s fertilizer products feed the soil, which in turn, feeds the plants. With Peggy Green, your organic gardening will be the best it can be. 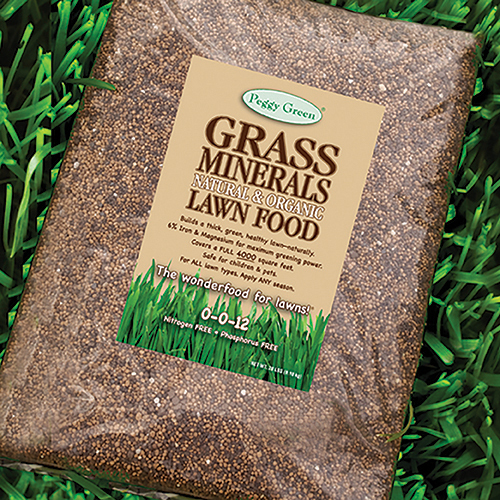 With Peggy Green’s organic mineral fertilizers, you never have to worry about plant burn. Other products use heavy sulfates (heavy salts). These can burn the plant. Peggy Green’s plant food simply won’t. This makes Peggy Green plant food perfect for indoor or outdoor use. Bring your organic gardening inside in pots or containers. Use outside in the ground. Minerals are the “spark plugs” of the soil. They “jump start” the other nutrients. This makes them available to the plant. Cutting back on a fertilizer that doesn’t have these minerals, can hurt your plant’s health. Peggy Green’s organic plant food products replenish the soil. They produce higher yields of higher quality. Promote greater plant growth. And they provide you with the minerals you need to stay healthy. 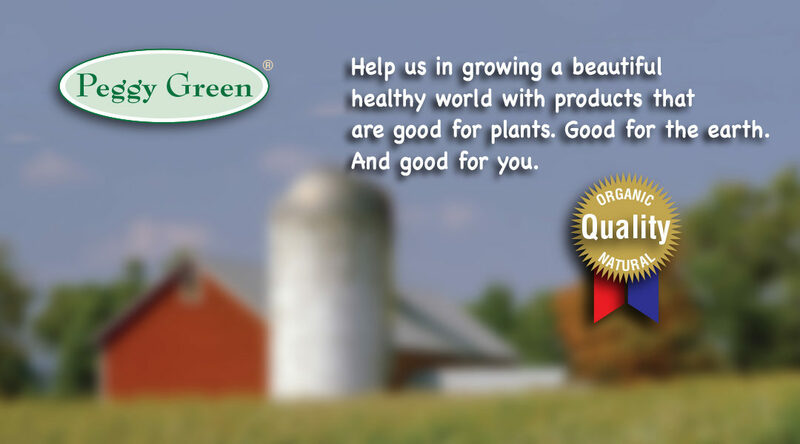 All of Peggy Green’s organic plant food products contain no synthetic chemicals or pesticides. They are completely safe for children and pets. With Peggy Green, you can trust that the plants you grow, and the food you grow will be grown the way that nature intended it. Click on the “LEARN MORE” button below or the product links at top right to find out more about Peggy Green’s innovative, safe, natural and organic plant food products. 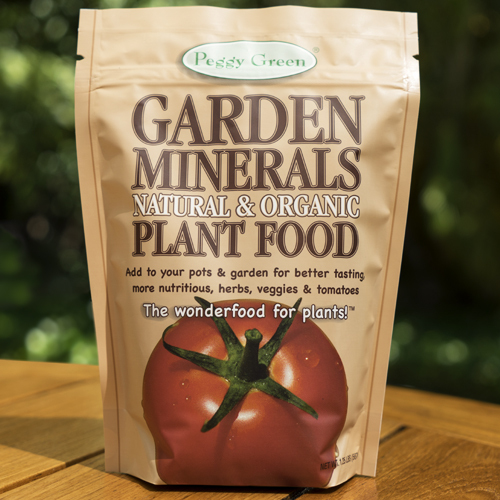 Peggy Green’s organic mineral plant food products put the missing minerals back in the soil. They promote greater soil health and give your plants the nutrients they need. With Peggy Green organic plant food, everything will grow bigger, better and healthier. 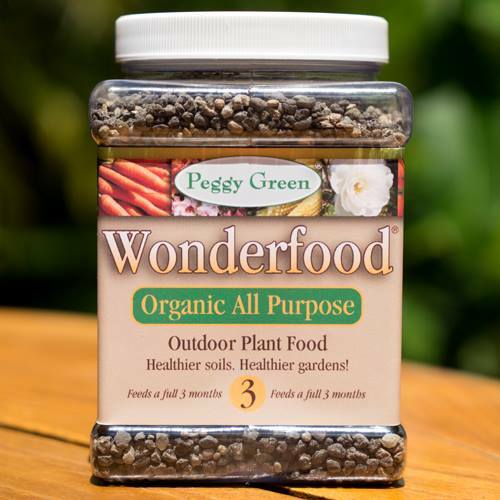 Peggy Green is the Wonderfood® for plants. Plant health, soil health and your health are affected by the minerals we add to the soil. These are the necessary nutrients that plants need. Peggy Green understands the importance of getting these nutrients into the soil with its organic mineral plant food products. They act like vitamins for the plant. They provide us with healthy, nutritious foods and healthier disease free flowers and ornamentals. Everything grows bigger. Everything grows better. Whether you are growing indoor or outdoor, in pots, gardens or raised beds, Peggy Green’s organic plant food will provide your plants with the right amount of minerals they need for healthy growth. No synthetic chemicals, pesticides, or runoff. Safe for children and pets. You love your lawn. You love your garden. But you love your children and pets more. Peggy Green offers the finest, safe, all natural and organic mineral plant food products available. No synthetic chemicals, heavy metals. or polymer coatings. No synthetic anythings. You can trust that the flowers or food you grow will be grown the way that nature intended it. And the lawn you walk, sit or play on is safe for children and pets. 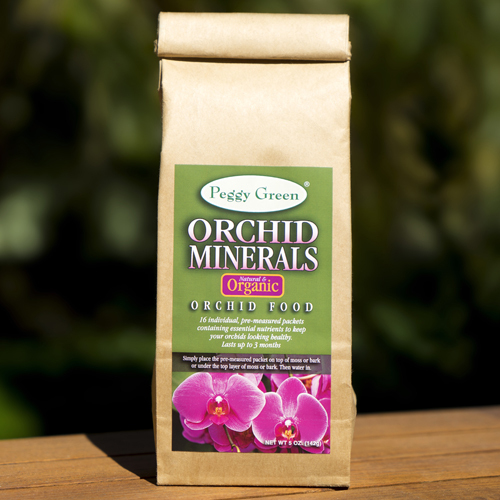 Peggy Green’s organic mineral plant food products are easy to use. Sprinkle dry granules onto the soil, and water in. No mixing, mess, or fuss. Each formula is designed to give you fast nutrient uptake, and produce a healthy, mineral rich soil. They stimulates microbial action, and aid in the breakdown of natural organic material. This results in greatly improved soil quality. Vitamins for plants are also known as essential minerals. They are necessary for healthy soil and healthy plant growth. Just like we need vitamins, plants need vitamins too. However, plant vitamins are different from the vitamins we take. They are called micronutrients. We understand the need for minerals. Peggy Green has a full line of organic plant food products. Our fertilizers contain these minerals in the right amounts for each plant. They act like vitamins for plants. They are the Wonderfood® for everything you grow. Minerals are important for plant health and soil health. At Peggy Green, we are all about plant health and soil health. You will find our natural and organic plant food products to be the finest available. We never use fillers, synthetic chemicals or pesticides. Our products are safe for children and pets. And, our organic plant food will give your plants the vitamins they need for healthy growth throughout the year. Peggy Green only uses organic sucrate minerals. Competing products use sulfates (heavy salts). These can burn the plant. Our minerals are non burning. This makes Peggy Green perfect for indoor or outdoor use, and in pots or gardens. They are the perfect vitamins for plants. Click on the “LEARN MORE” button below or the product links at top right to find out more about Peggy Green’s innovative, safe, natural and organic plant food and fertilizer products. Peggy Green’s organic plant food for tomatoes is a super organic mineral plant food formulation. It is the Wonderfood® for plants that puts the missing minerals back in the soil, and acts like super multi vitamins for plants. With Peggy Green organic plant food for tomatoes, you will give all your tomato plants the essential nutrients they need. Grow everything healthier with organic plant food for tomatoes from Peggy Green. 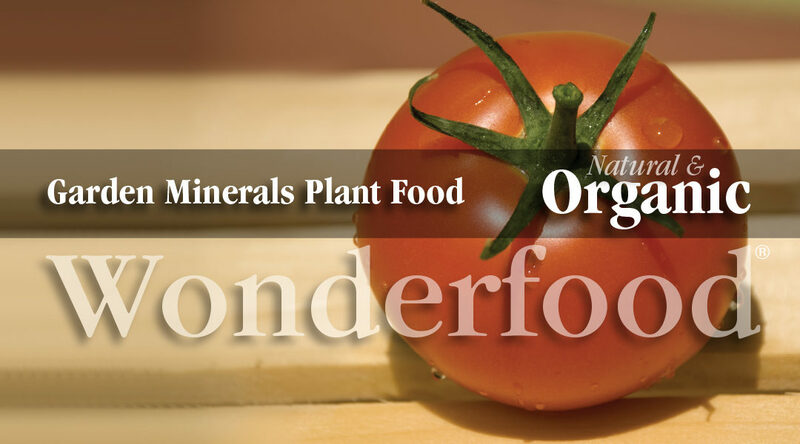 Organic fertilizer and plant food that’s like a SUPER MULTI-VITAMIN for tomato plants. Packed with a powerful concentration of essential elements, each organic plant food and fertilizer product stimulates nutrients, enzymes, increase microbial action, and promotes good health in tomato gardens. AND with Peggy Green’s patented organic sucrate minerals, there is never a worry about plant burn. This organic plant food for tomatoes is perfect for indoor or outdoor use, in pots, containers, raised beds or any type of garden. And, with its high content of Calcium, it helps prevent end rot in your tomatoes. Never any synthetic chemicals. No pesticides. No runoff. Safe for children, pets and the whole family. You love your lawn. You love your garden. But you love your children and pets more. That is why Peggy Green offers the finest, safe, all natural and organic mineral plant food and fertilizers available for tomato gardens. No synthetic chemicals, heavy metals, or polymer coatings. You can trust that the flowers or food you grow will be grown the way that nature intended it. And the lawn you walk, sit or play on is safe for children and pets. Organic plant food for tomatoes that’s easy to use. No mixing. No mess. No fuss. 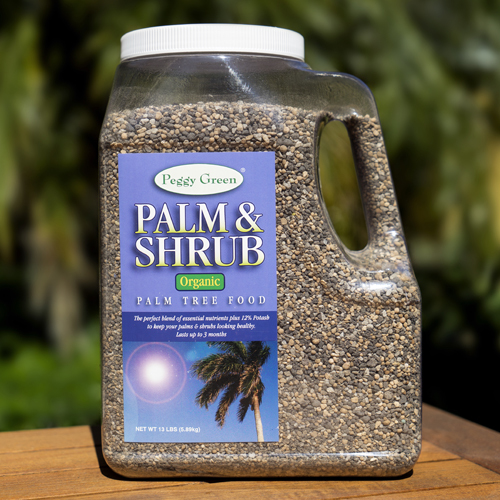 All of Peggy Green’s organic fertilizer and plant food products are fast, clean, and easy to use. They’re super organic mineral formulations. Simply sprinkle the dry granules onto the soil, and then water in. No mixing. No mess. No fuss. Each formula is designed to give you fast nutrient uptake, and produce a healthy, mineral rich soil that stimulates microbial action, and aids in the breakdown of natural organic material which greatly improves soil quality.